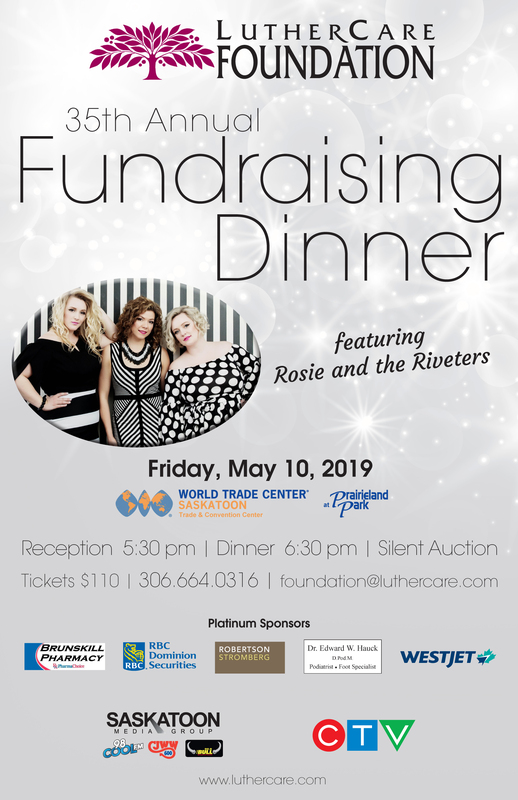 LutherCare Foundation will be celebrating the 35th Anniversary of our Spring Fundraising Dinner on May 10th, 2019 at the World Trade Center Saskatoon at Prairieland Park. We are excited to announce that this year’s entertainment will feature Rosie and the Riveters! Tickets are $110 and available by contacting foundation@luthercare.com.com or 306.664.0354.